There are Different types of Fly Ash Brick Making Machines according to their Capacity. Lakshmi Narayan Mechanical Engineering Pvt. Ltd.
With many years of experience in the industry, our organization is engaged in supplying and exporting a wide range of products such as Hydraulic Press - Power Pack Thrust Load - 45 M.T., Hydraulic Press With Power Pack Thrust Load - 70 M.T., Hydraulic Press with Power Pack & Control panel Thrust Load - 70 M.T., Hydraulic Press With Power Pack & Control Panel Thrust Load – 45 M.T. and Hydraulic Press With Power Pack Thrust Load - 45 M.T. Catering to the high demands, we also offer Mixer and Grinders, Vivro Table Machine, Muller Mixer, Pan Mixer, Hammer Mill, Pulverizers of different sizes with Motor Power from 3.7 kW to 22.4 kW and Vivro Table. Our professional approach and association with reputed vendors have helped us in providing quality products to our clients. 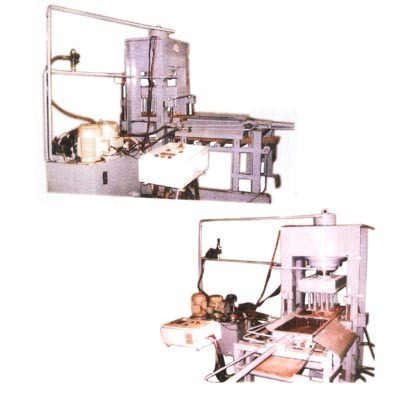 The Hydraulic Press and Pulverizers ensures longer shelf life and all our products are of ISI marked. Our market professionals are well versed with the distribution channels to cater a large clientele in the country. Some of our esteemed clients includes Stylish interlocking paver private limited, S.E. Private limited, Vashundhara homes private limited and Pre-con engineering private limited.